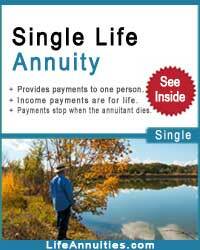 A BMO Insurance annuity provides regular, fixed income payments for the rest of your life. 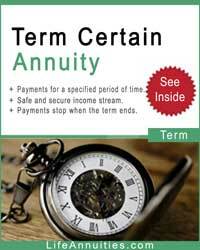 If you are looking for a guaranteed monthly income stream that will continue until your death, then a life annuity is the perfect retirement option. 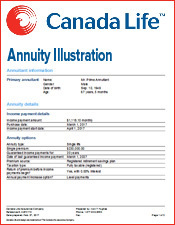 The best way to learn more about annuities from BMO Insurance is to contact a BMO life insurance agent or broker who speciallizes in annuity sales. 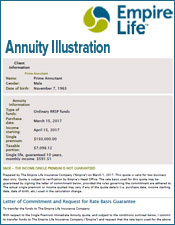 An annuity broker deals with more than one company and can help you compare monthly incomes from all the different life insurance companies that sell annuities in Canada. 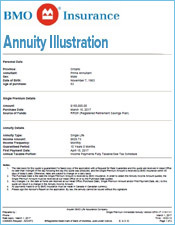 The Hughes Trustco Group (LifeAnnuities.com) is a licensed insurance broker authorized to sell life annuities for BMO Insurance. 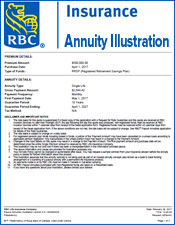 Start by completing a BMO annuity quote. 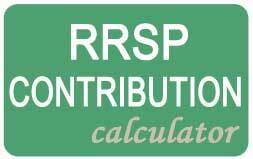 Completing a BMO annuity quote below is the first step in calculating your monthly income based on your personal needs. 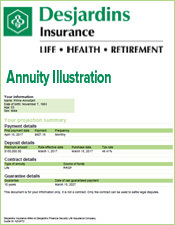 Receive your BMO Annuity Illustration by email. 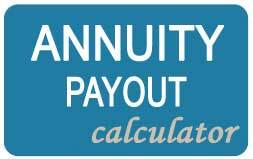 Once you submit your information, we'll calculate your annuity payout and send you the BMO Annuity Illustration the same day. 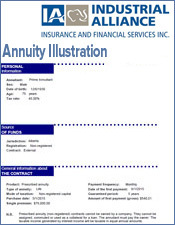 Here is an example of a BMO Annuity Illustration. 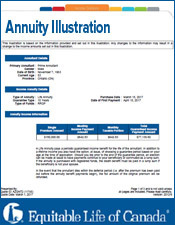 Complete the BMO Annuity Application. 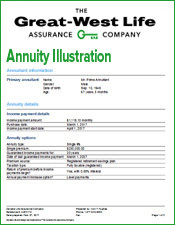 After reviewing the annuity illustration, the annuity broker will take down your information and complete the annuity application for you. 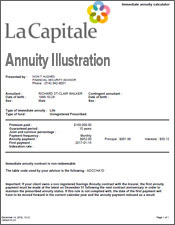 Here is an example of a BMO Annuity Application. 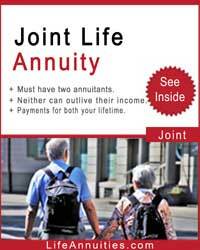 The annuity broker will complete the transfer forms that are necessary. 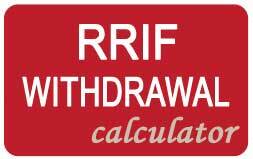 Registered funds like your RRSP, RRIF or RPP are transfered from one institution to another using a transfer form. 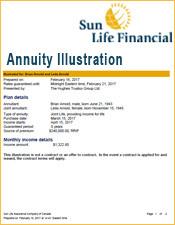 If the funds are coming from a non-registered source the annuity broker will ask you for a cheque that is payable to BMO Insurance. 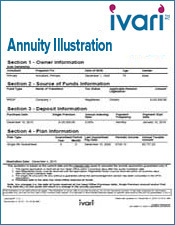 Your BMO Annuity Policy is issued and mailed. 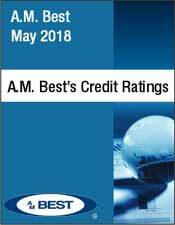 BMO Financial Group is a highly diversified North American financial services organization that provides a broad range of retail banking, wealth management, and investment banking products and solutions to more than seven million clients and customers across Canada. 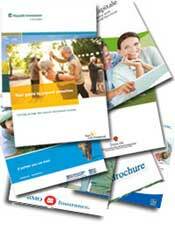 BMO offers a range of innovative and easy-to-understand insurance solutions that includes: life and disability insurance on mortgages, loans and lines of credit; MasterCard Outstanding Balance insurance; DirectTerm life insurance; Personal Accident Protection, critical illness, and travel insurance. 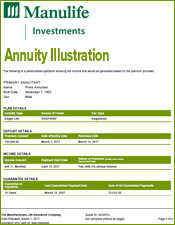 BMO Nesbitt Burns and its predecessor companies have been helping investors meet their financial goals since 1912.